Wondering how to buy a house with no deposit? Be cautious – it’s an option for some, but could be a trap for others. Can you get a home loan with no deposit? In New Zealand, it can be very difficult to find an institution that will loan you 100% of the purchase value of a home – generally the only way this will happen is if you have a guarantor on the loan, such as a parent or family member. The maximum LVR (loan-to-value ratio) most lenders will offer on a home loan is 80% (meaning a 20% deposit is required) – anything above this is considered a high-LVR loan. However, there are several ways you can get a loan with a LVR of up to 95%, meaning you’ll only need a 5% deposit. The current LVR restrictions imposed by the NZ government make it more difficult for banks to lend to buyers with low deposits, in an effort to ensure Kiwi property buyers aren’t borrowing more than they can afford. Under the current rules, no more than 15% of a bank’s new residential home loans can have LVRs of 80% or more (20% deposit or less); for investment properties, no more than 5% of a bank’s new lending can have LVRs of 65% or more (35% deposit or less). While this makes it a more difficult process to get a high-LVR loan, your new home loan could still be approved if you can meet certain conditions to convince the bank you’ll be able to pay off your loan – this will usually be determined on a case-by-case basis by the lender. Regardless of the amount of deposit, or if there’s no deposit, borrowers should remember there are other upfront costs involved in buying a home, such as stamp duty, legal fees, building inspections and more. As for whether a no-deposit or low-deposit home loan is a good idea or not, as we explain below, they are generally not a wise financial decision for most types of borrowers. Spotless credit rating: Borrowers must have a spotless credit history and credit rating with the three main credit reporting agencies (Centrix, Dun&Bradstreet, Equifax). You can check your credit history by contacting all three companies, and it’s free to do so. 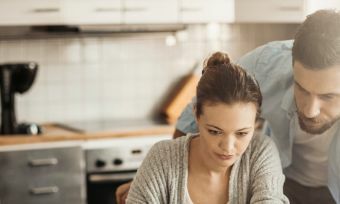 Responsible repayment history: Borrowers must have been paying all of their current debts on time, such as credit cards, personal loans and rent. Stable employment income: Borrowers must have a stable, ongoing job that provides an income high enough to afford repayments of the loan. Professionals in certain occupations (e.g. lawyers, doctors) are much more likely to be approved for a home loan with no deposit because they are generally considered to be at a lower risk of losing their jobs. Common property type: Borrowers must be buying a standard type of property such as a house, townhouse, unit, or vacant land to build on. Common location: Almost all lenders require borrowers buy in a capital city, major town or major regional centre. Some of the circumstances whereby someone could buy a house with a low deposit include, having a guarantor to co-sign the loan, or obtaining the money for the deposit via a method other than saving or investing. Although, it’s possible to obtain a loan with an LVR of up to 95%, it’s generally not a good idea for most. See here for more information on how to raise a deposit if you don’t have genuine savings. We’ve explained each of these options in more detail below. One option for breaking into the property market is to ask your parents if they would be willing to provide the deposit or co-sign your loan as a home loan guarantor. In a parental guarantor home loan, borrowers may be able to borrow up to 100% of the property value. It’s not a request that should be made or granted lightly. If your parents go guarantor on your loan, it means they need to provide documentation proving they could repay your loan if you failed to meet the repayments. It also means that if you did miss a repayment, they would become liable for the loan repayments. Find out more about the requirements for a guarantor home loan. In general, it is not a good idea to borrow more than the purchase price, because if the value of your property decreases while you are paying off your mortgage, you may end up owing more than it is worth. This is called negative equity and it is one reason why it is wise to avoid 105% LVR home loans. First home buyers who have been contributing to KiwiSaver for more than three years may be eligible for a KiwiSaver HomeStart grant. This grant comes from Housing New Zealand and is up to $10,000 for an existing home, or up to $20,000 for a new home. 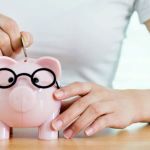 You must have a deposit of at least 10% saved up – although this deposit can include the grant you’re expecting to get. The HomeStart grant comes with several conditions, such as your income and the duration of your KiwiSaver membership – check out the KiwiSaver website for full details. A Welcome Home Loan is a special home loan for first home buyers, which allows you to only have a deposit of 10%, rather than the usual 20%. Welcome Home Loans are underwritten by Housing New Zealand (a government corporation) and are issued at several selected banking institutions. The same restrictions apply as those for the KiwiSaver HomeStart grant, and there are also price caps on the value of your house in different regions of New Zealand – check out the Welcome Home Loan website for full details. If you receive a large monetary gift or “windfall” – from something like an inheritance or the lottery – you may decide to put that towards a house deposit. Most traditional lenders require your deposit to be made of genuine savings – because it shows you will be able to repay the loan – but a smaller number of lenders are willing to accept a deposit that comes from a gift or windfall. Using a monetary gift for your deposit may limit the options available for your home loan. Equity is the difference between how much your property is now worth and how much you still owe on the home loan for that property. If you already have a home loan on a property, you can use the equity on that loan as a deposit towards buying another property – if you can afford to repay two mortgages at once, that is. Most lenders will allow a borrower to use up to 80% of the equity they hold in one property as a deposit to buy another property. If a borrower is willing to pay Lenders Mortgage Insurance (LMI), they may be able to find a lender that will allow them to use up to 95% of their equity. Using a personal loan to fund your home loan deposit is technically possible but it is not a common or easy method for buying a home. 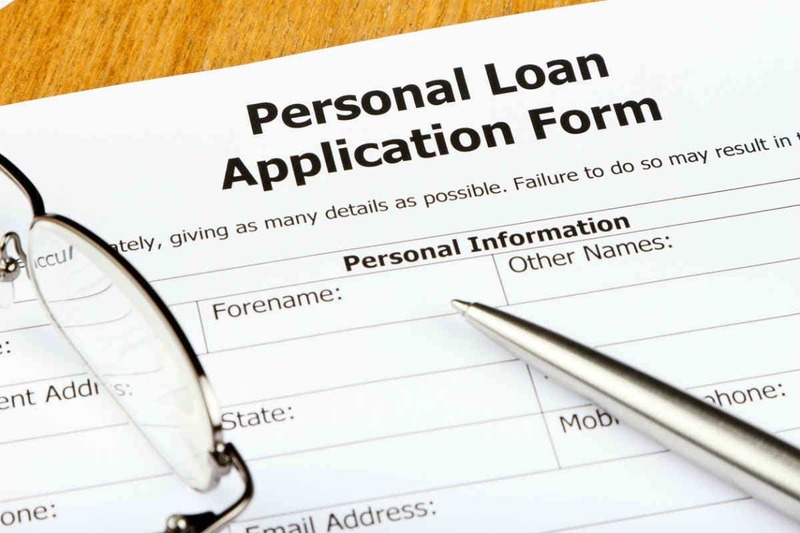 Some lenders do offer home loans to those who get a personal loan for a deposit if the borrower can prove they have a high enough income to repay both a personal loan and a mortgage and they have a good credit history. However, most lenders require genuine savings, so they will not accept a deposit that comes from another lender. 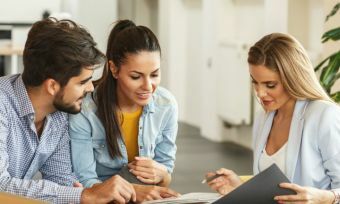 And while it may be possible to find a lender who will accept a personal loan as your deposit, your mortgage lender may charge you higher interest rates than they would a borrower who had genuine savings. Are home loans with no deposit a good idea? In general, no. As with anything, of course, there are pros and cons to home loans with no deposit. 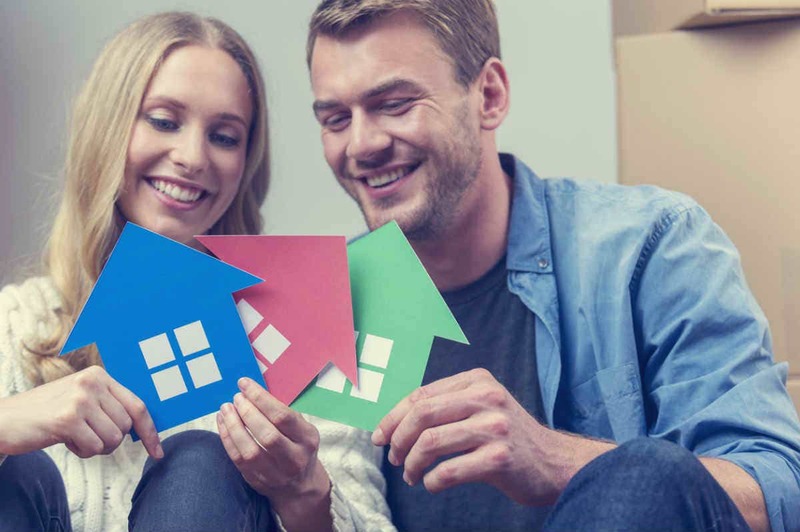 There are a few main reasons why borrowers should avoid no deposit home loans in general, and should instead try to raise as large a deposit as they can. Higher interest rates if you borrow more than 80% of the property purchase price. Restrictions on locations where you can buy property. Usually have to pay Lender’s Mortgage Insurance (LMI) with no deposit. Lengthy and more difficult approval process because of the need for credit checks on guarantor as well as the borrower. No deposit is not usually an option for self-employed borrowers. 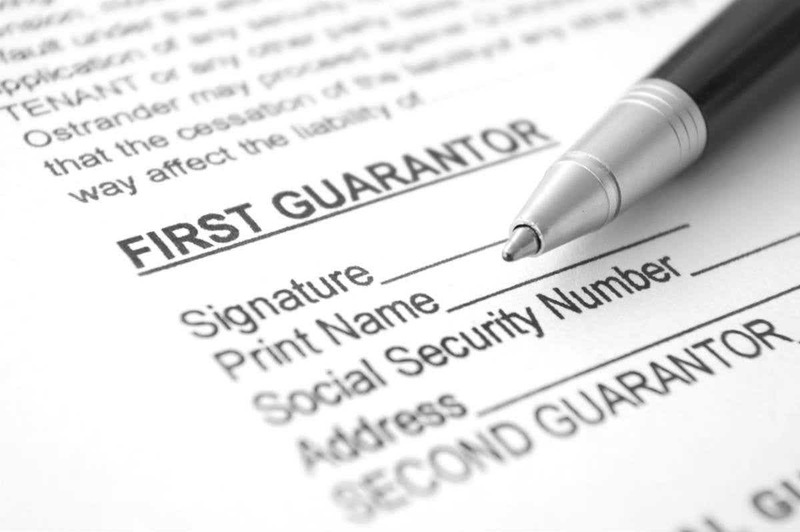 You may have to find a guarantor. Loan approval is not just your lender’s decision – their insurance provider of LMI also needs to approve your mortgage application. 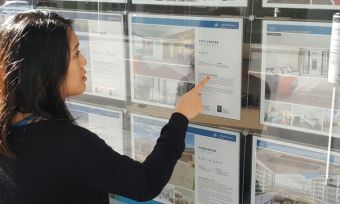 For first home buyers who do not have much in savings, a home loan with no deposit gives them a way to buy in an unaffordable property market. Many people say this saves them from “wasting money on rent” or living with their parents for longer. If you have a guarantor, you save money by not having to pay LMI despite having such a high LVR. No-deposit home loans usually have most of the same features as other home loans, such as a redraw facility or offset account, and the ability to make extra repayments. For property investors who have some equity in a property but hold less genuine savings in the bank, using equity for the deposit on an investment home loan can be a possible option. It’s worth pointing out home loans with no savings are not generally designed for first home buyers. If a potential borrower is struggling to meet the costs of living to the point they aren’t able to save any money towards a house deposit, it is not wise for them to apply for a home loan at that point in time. In the time it would take to save up a sizeable deposit for a home, the property market may have risen significantly. In that sense, purchasing a home without a deposit may help the buyer ‘beat’ this rise in property prices and secure the home at a comparatively lower price. To see a snapshot of the current low deposit home loans on offer on the Canstar database, you can see the table below which is sorted by the maximum loan to value ratio of each loan (highest to lowest). Please note that this table is generated based on a loan amount of $350,000 in Auckland for a first home buyer. If you’re interested in comparing further, you can use our free home loan comparison tool here. Overall, when buying a house it’s considered best practice to save up 20% of the purchase price before applying for a home loan. While low or no-deposit home loans are an option in some circumstances, they’re generally pretty tricky to get approval for and are riskier than a loan with a bigger deposit. To find out more about home loans and compare the best interest rates on the market, check out Canstar’s Home Loan comparison tables.